Íla is a very lovely female and the best dog I have ever had, she has the best temper. She has excellent built and excellent coat with perfect texture. She has always gotten excellent at shows, and was placed BIS 4 in a puppy class in DK and BIG 4. 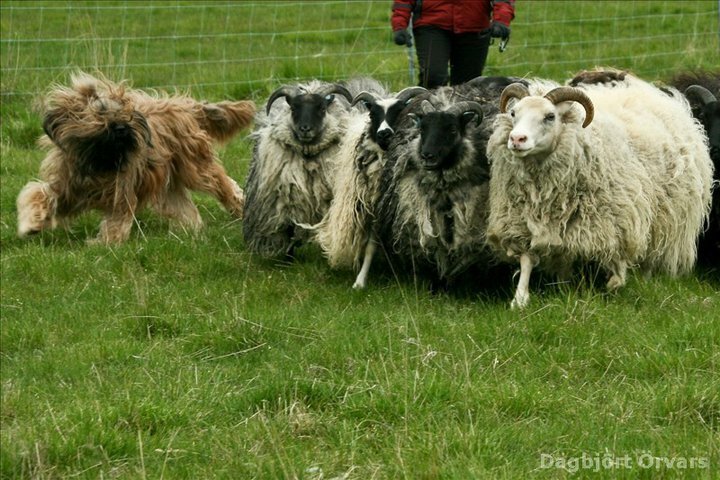 She was Best Briard 2011, 2012 & 2013 in Iceland. She is the start of my kennel and has given me 9 Beautiful puppies, 5 females and 4 males. 19.May 2012.